This image was created for use in artwork by other individuals. This image is free to alter and use in other images with my permission provided that the user does not claim credit for creating this image. Crediting me for this material would be greatly appreciated! I created this image as a background for a previous picture. I took a screenshot from the show, My Little Pony - Friendship is magic, Season Three, Episode One, The Crystal Empire part One and cleaned it up. The screenshot was of EXTREME low quality and turned into a blurry, pixleized mess! I had to draw a whole new image on top of the original. 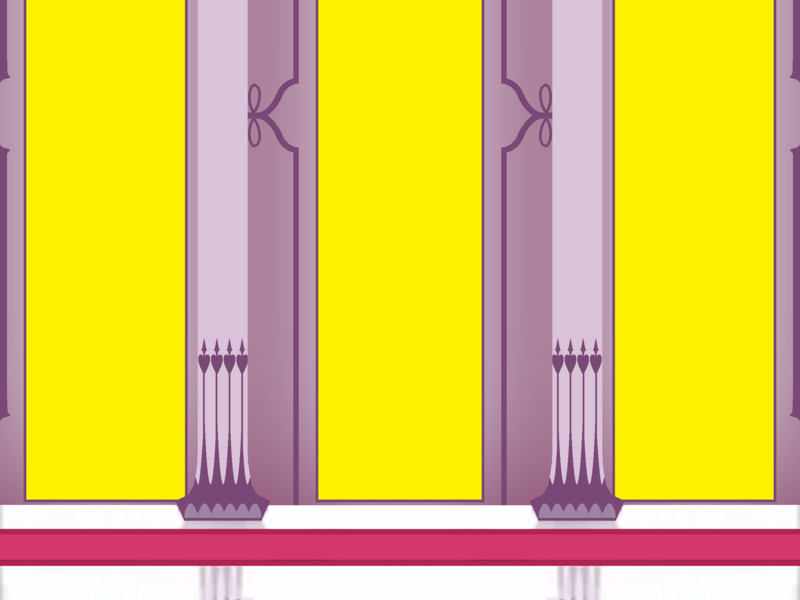 I edited out Celestia, Luna and the stained glass windows with blanks so that the user may create their own stained glass images.